ENTEBBE – The CS Constantine team arrived this afternoon with a delegation of 31 people including players and officials. The contingent arrived aboard Qatar Airlines via Doha to Entebbe. They were welcomed by several officials from both Vipers SC and the Federation of Uganda Football Association (FUFA). 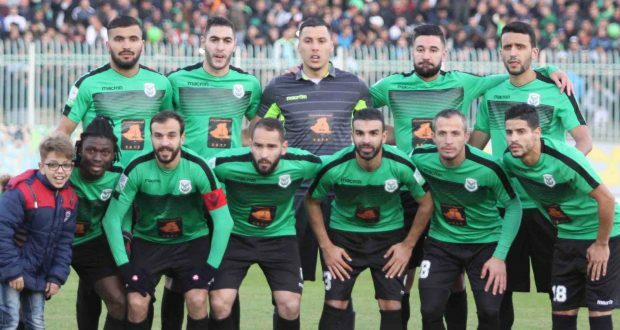 The Algerians will be residing at Hotel Africana as they beef-up their preparations for the upcoming CAF Champions League return leg against Vipers at the St. Mary’s Stadium in Kitende. They will hold two training sessions including one on Friday at the exact match day time, the following day. Speaking on the team arrival, Constantine head coach-Denis Lavan was optimistic about his side’s chances going into the game. “We are glad to be here and we are positive to play and win, we didn’t achieve our target in the first leg, we wanted to score more goals but Vipers was solid, said Lavan. “We shall try to win away and we are focused on winning the game here and go for the GROUP Stages of the CAF Champions League. The Algerians go into Saturday’s game with a slender 1-0 victory and will only need to avoid defeat so as to reach the luxurious group stages of the competition.